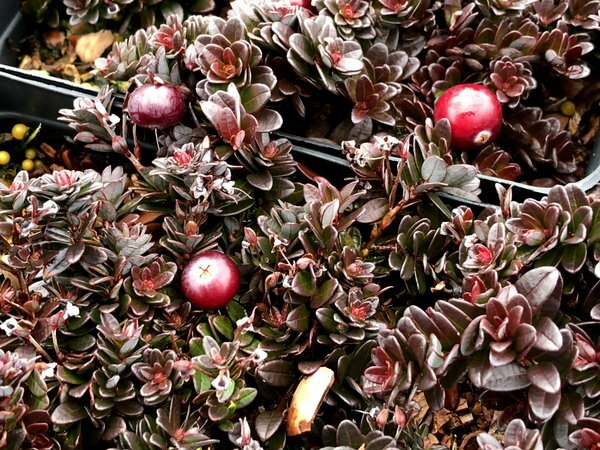 Hamilton Dwarf Cranberry. This is one of our desert island dwarf shrublets. Granted, we would be bundled up on the beach as this would be a cool northern island for this to be happy but that is a small concession for 12 months of beauty. Perfection in a small package with very slow growth, evergreen leaves turning burgundy in winter, tiny pink flowers and red fruit - yea, verily!